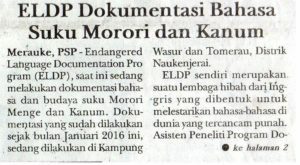 Our ELDP project has been visible locally in Merauke. The documentation project has received press coverage; e.g. reported by the local PSP (Papua Selatan Pos, or South Papua Post) newspaper in December 2016. 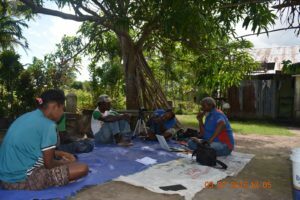 There was also an invitation for an interview for the local RRI (National Radio of the Republic of Indonesia), Merauke station.